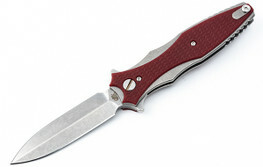 Rick Hinderer started building high quality art knives over 28 years ago. 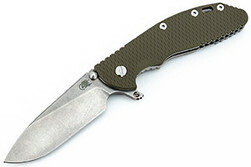 In that time, he has risen to the top of the pantheon of great knife designers. 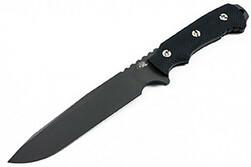 Rick Hinderer knife designs have been adopted by legendary brands such as Zero Tolerance and others. Rick has a passion for knives and a real zeal for life and getting the most out of it. 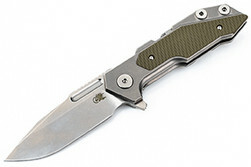 Hinderer Knives and accessories are shining examples of passion and zeal. Rick grew up as a Midwestern farm boy where he learned about hard work and the need to depend on quality tools. His hard work as a farrier enhanced his yearning for quality tools and allowed him the opportunity to forge his very first knife. Later in life his time as a firefighter/EMT garnered him a new perspective on using knives and tools in life and death situations. 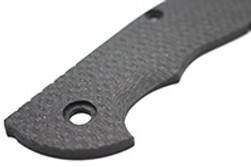 Because of his background it is no wonder Hinderer Knives are overbuilt with uncompromising fit and finish. Rick accepts nothing but perfection and this commitment to quality shines through on every Hinderer Knife. 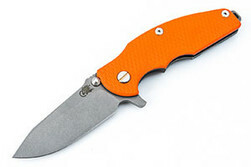 Whether you are buying one of the legendary XM folders or any other Hinderer knives for sale, you cannot go wrong with one of Rick’s blades and every serious collector should own at least one. 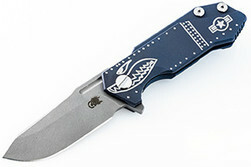 Rick Hinderer Knives hail from Shreve, Ohio, USA. The knives are named after the designer and owner, Rick Hinderer. Rick not only designs and produces his own knives, he has designed some of the best selling knives for Kershaw and Zero Tolerance. 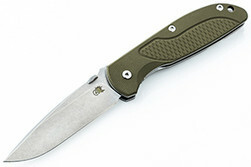 The Hinderer folding knife line includes several sizes of the XM; which include the XM-18 in 3” and 3.5” versions; and the XM-24 4”. Other models include the Eklipse and MP-1 (Modular Platform 1). The XM lineup has been made in spear point, tanto, bowie, spanto, skinner, and slicer grinds. 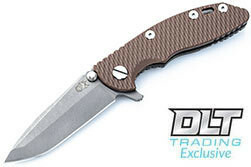 To add to the variety of these knives, they have also been made in a range of finishes like stonewash, bead blasted, working finish, and a several DLC colors. 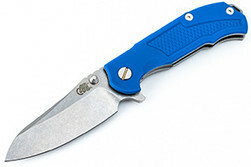 Rick has made all of his knives customizable with removable clips and filler tabs. 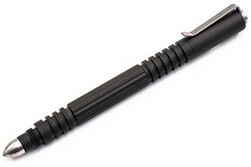 Each knife is made with a clip that can be moved to accommodate the user with a tip-up or tip-down carry option. 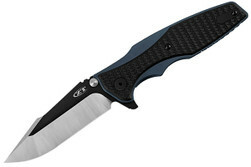 With that in mind, each knife includes a small tab to fill the open area slot opposite where the clip is mounted. The tabs and clips come in a huge range of colors and designs, which can be swapped to suit each user. Adding the the customization options, the scale screws, pivot screw, scale nuts, lockbar stabilizer, and barrel spacers are also user replaceable. Each knife is more than capable as they come from the factory, but can be made into a unique piece as time goes on with all of the available options. 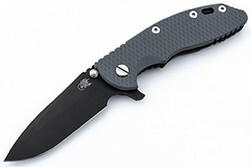 The standard steel used in Hinderer knives is CPM S35VN stainless steel, but they have been made in CPM 20CV stainless steel and CPM 3V carbon steel. 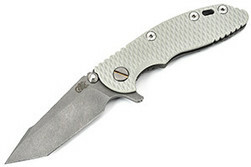 There has also been a teaser post made by Rob Orlando, Hinderer employee, about an project in Bohler M390. Each knife is built and inspected by true artisans of the craft. 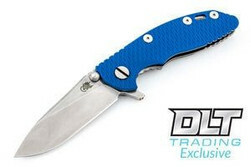 Each knife includes a lifetime warranty and are guaranteed against manufacturer defects and workmanship.